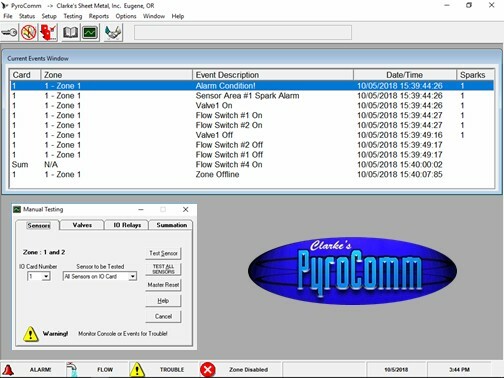 The PyroComm Software is designed to extend the functions of the PyroGuard CXL control console using an external PC unit. With the software and an external PC you can control all functions of the console remotely utilizing an enhanced interface. Operations such as alarm resets, console testing, event recording and overall monitoring of the console can be accomplished from the PC. With the software the PC can be installed up to 150 ft from the main control console. An optional Serial to Ethernet converter can be supplied to allow connection to your console from your local network.